At Low Country Volkswagen, our highly qualified technicians are here to provide exceptional service in a timely manner. From oil changes to transmission replacements, we are dedicated to maintaining top tier customer service, for both new and pre-owned car buyers! Allow our staff to demonstrate our commitment to excellence. 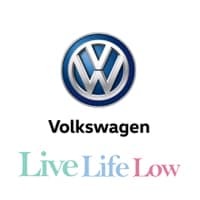 Maintaining your Volkswagen properly is the key to vehicle longevity, and our Mt. Pleasant Volkswagen service department is standing by to keep your VW car or SUV running smoothly for years to come. Our highly trained and experienced technicians will maximize your Volkswagen vehicle’s performance. All service includes a multi-point vehicle inspection to identify developing problems so you can avoid future breakdowns. Low Country Volkswagen near Charleston keeps your car in tip-top shape in the service bays so you don’t get stranded on the highways! Our Service department is staffed with factory trained technicians ready to answer your questions and address your service needs. Use our online Service Appointment feature to schedule an appointment or contact our VW service department if you have any additional questions.